safety nets and growth to help facilitate reform and inclusive growth. 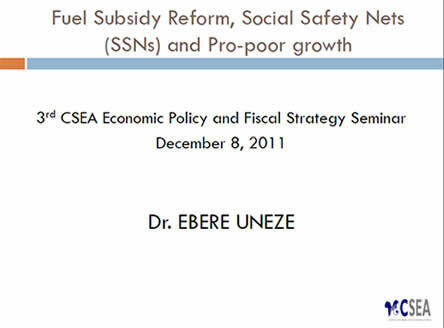 A well designed safety net and social program can facilitate subsidy reform, and lead to inclusive growth, if successfully implemented. Global economic growth remained fairly stable in 2016Q3 with baseline projections for global growth at 3.1 percent and 2.4 percent by International Monetary Fund (IMF) and the World Bank respectively. Growth in developed countries was moderate but unevenly distributed: while the U.S and the UK showed improvements, growth in other economies remained tepid. Among emerging countries, India witnessed higher growth while growth in China remained constant but the Chinese Yuan continued to appreciate. Given that India is Nigerias major crude oil importer, improving economic conditions in India may translate into rising demand for Nigerias crude oil. However, the continuous appreciation of the Yuan poses significant inflationary threat in Nigeria given the high level of imports from China. Subdued global demand, weak trade, uncertainties in commodity prices and consequences of the Brexit were the key constraining factors to growth over the period. In addition, growth in Sub-Saharan African countries remained generally slow on the account of low commodity price, political turmoil, and inconsistent government policies.